I'm Here. I'm Queer. What the Hell do I read? : Drowning in Slush: Laura Miller over at Salon looks at the brave new world of publishing... and is afraid. My Response? Don't Be Afraid. Get Vetted! Drowning in Slush: Laura Miller over at Salon looks at the brave new world of publishing... and is afraid. My Response? Don't Be Afraid. Get Vetted! 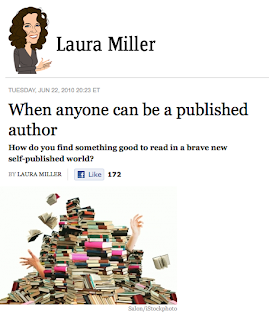 Yesterday over at Salon.com, Laura Miller published her article on the changes happening to the book publishing industry, "When Anyone Can Be A Published Author." It's a fascinating read. She feels that as it gets harder for end-user readers to determine if a book is vanity or self-published versus having gone through the traditional gatekeepers of publishing (agents, editors, publishing houses) we will all be buried in an avalanche of slush - the drek books that might very well turn readers off from books entirely. The Salon article mentioned the studies that have shown that too many choices make people less adventurous in their sampling, rather than more, and I have to agree - if I was at the supermarket, and they were offering samples of 22 flavors of mustard, versus samples of 3 different kinds of mustard, I know I'd avoid the 22 flavor sample - too many options. Miller makes the point that as the industry shifts, we may simply be exchanging one set of gate keepers for a new set - and she calls out bloggers and denizens of social media networks (I'm assuming my fellow facebook 'friends' and Twitter tweeps among them) as where the new power will rest. But I'm frankly not sure I agree with that. I don't think that the value of vetting will diminish as choice increases - on the contrary, I think the "brand" of quality will be more important than ever. Readers will become more savvy, and will look at not just author names they know - "Ohh - Suzanne Collins wrote 'The Hunger Games' - I wanna read her latest!" "Ohh - Cheryl Klein edited 'Marcelo in the Real World' - I wanna read her latest!" "Ooh - Razorbill put out Jay Asher's '13 Reasons Why' - I wanna see what they do with Vampires!" "Ooh - Laini Taylor's Lips Touch was a finalist for The National Book Award - I've gotta read that!" "What did the book blogger's Cybils say about the best easy reader of 2009? Mo Willem's "Watch Me Throw The Ball! An Elephant and Piggie Book? I'm getting that for my kid!" 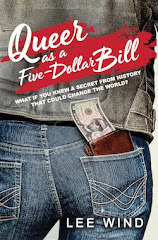 They'll look at reviews of the reviewers (print and blog and other media) that they like - Oh, What did Colleen Mondor like for boys in her last YA column over at Bookslut? Francisco X. Stork’s 'The Last Summer of the Death Warriors?' Cool! I'm gonna read that next! And perhaps most important - they'll listen to WORD OF MOUTH, which can now spread through blogs, facebook, twitter, and the like! Already people are trying to 'game' the system - like the PR firm that got caught posting Fake 5 star 'reader' reviews to all their client's books on Amazon! (or this guy, who offered to pay people to write good reviews of a product they didn't even own!) Trust is key as we move forward, people! Yes, I know things are changing. But good stories are still going to be written. And readers are still going to want to find them. And it may be Polly Anna of me, but I think these changes will actually create a way for the handful of self-published successes to rise through the slush and be VETTED alongside the traditionally published books - because no matter what they're reading the books on (ipads or e-readers or paper) that's what readers will be looking for - good stories that someone besides the author said were worth the time. There have been articles about the death of publishing/brave new world of publishing for many, many years now. I remember one in Slate magazine in the late '90's and one in Poets and Writers before that, which caused a lot of controversy. Someone should maybe write an article about how depressingly the same publishing has remained despite earth-shattering changes in technology, readership, the economy, etc. Self-published books never make it into bookstores and libraries, where people do indeed still go to find books. Self-published books that sell poorly will not appear near the top of Amazon's search results. With some self-publishing outfits, writers have to pay a fee to have their book on Amazon at all. If an excerpt is available, readers (just like editors) can quickly tell if a book is poorly-written or something they just don't want to read. Personally I wouldn't buy a book on the internet that has no reviews, no excerpts, is not in the library, and has a dumb cover, and I think most readers have their own standards and are pretty savvy, since they know how to read and all. Big publishing houses still have a budget (maybe not huge) for advertising, while self-published writers still have to rely on Facebook, networking, selling books out of the trunks of their cars, etc. So I'm really not worried about bad books that eluded the heroic gatekeepers being foisted on me when I don't want them. I think a bigger threat is weak children's books written by celebrities that are published by big houses : )! I agree with Lee that we can trust readers to find ways to vet books! And I think non-traditional publishing is a boon for readers of niche fiction (like gay teen science fiction!) For that genre, I have low standards and I would indeed wade through the slush pile. I couldn't agree more! And as a matter of fact I've just written a long speech on this very subject that I will be delivering to several SCBWI gatherings. It's important to remember in this digital landscape to try to stop being mesmerized by the new shiny things all over the place and trust your instincts and trust what you've always trusted when it comes to the "vetters" in our business. 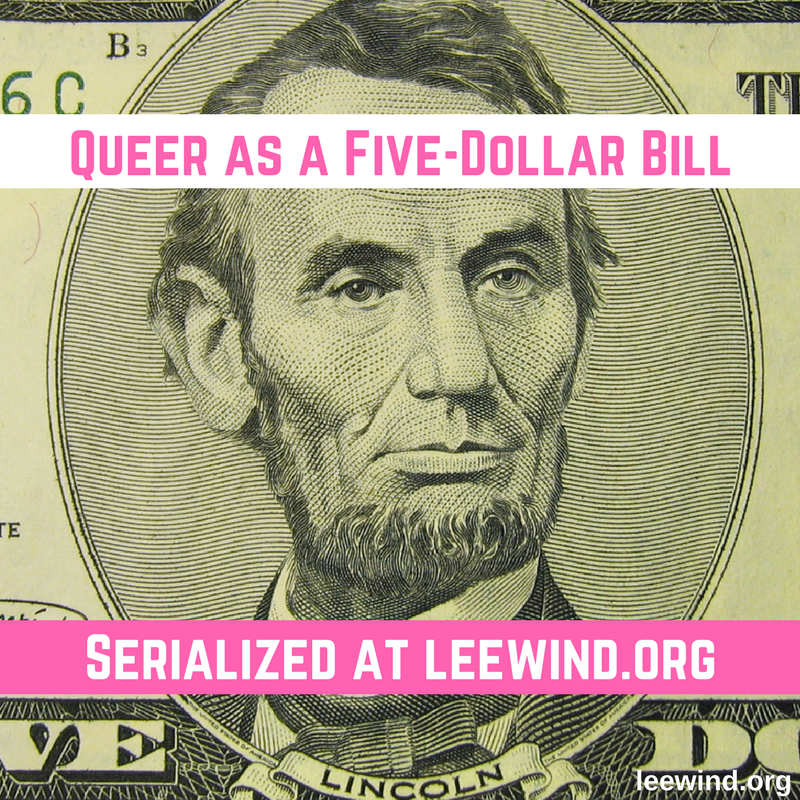 Thanks, Lee! There will be gatekeepers. I'm not exactly sure who they will be, but here's why. It's possible that everyone in the world could someday upload a book onto a site like Amazon. But how would a reader find any title? No reader is going to troll through millions of entries, or even thousands of search results. The books that are featured on the home page and that come up high in the searches will get more eyeballs and more attention. Some kind of gatekeeping process will determine which books get featured that way. And even right now, anyone with a computer and internet connection can put up a website and sell anything--including a self-pubbed book. But you don't hear of thousands of people making it big as authors this way. Large quantities of readers won't find author sites unless those sites are gatekeeper sites, or are linked from gatekeeper sites. The internet has millions of websites. But most internet traffic congregates around sites like eBay, Amazon, Google, etc.--gatekeeper sites. The few sites that get most of the attention. Even if online bookstores end up carrying millions and millions of titles, somebody somewhere will become a trusted gatekeeper that people go to for recommendations about which of those millions of titles to try. I'm with Ms Miller thinking that the "Revolution" will cause more harm than good. The only self-published fiction work that has become a commercial success is Christopher Paolini's Eargon series, and I think that's indicative of what's out there in slush piles.